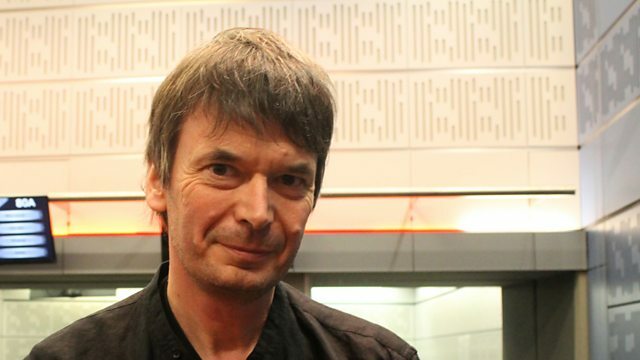 Clive Anderson and Tom Allen are joined by Ian Rankin, Anne-Marie Duff, Richard Gadd and James Grieve for an eclectic mix of conversation, music and comedy. With music from The Marcus King Band and Nick Harper. ‘Rather Be The Devil’ is published by Orion Books and available on 5th November. ‘Oil’ is at London’s Almeida Theatre until 26th November. ‘Monkey See Monkey Do’ is at London’s Soho Theatre until 12th November. ‘Broken Biscuits’ is touring until 3rd December. It’s at The Drum, Theatre Royal Plymouth on 29th October and Hull Truck Theatre from 1st to 5th November. Check the Paines Plough website for further dates. ‘The Marcus King Band’ is out now on Fantasy. Marcus and the band are playing at London’s Indigo O2 on Sunday 30th October. 'Nix' is available now on Sangraal Records. Nick is playing at The Borderline, London on Saturday 3rd and The Bullingdon, Oxford on Sunday 4th December.